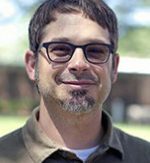 Joel Willitts is an Associate Professor in the Biblical and Theological Studies Department at North Park University. After graduating with a BS (’93) he spent 7 years in youth ministry in Texas, Florida and Illinois. He has had a wide breadth of experience within both the church and academy. Joel has researched and published books, essays and journal articles in the area of the Jewish context of the New Testament. Among other things Joel is currently working on a Galatians commentary and a book about sexual abuse. Joel’s passion for the local church has remained strong throughout his education and professional life. He is a fellow at the Center for Pastoral Theology, a group that promotes theology in and for the local church. Joel is married to Karla (20 years) and they have twins, Zion and Mary (6 years old). They live in Saint Charles, IL.